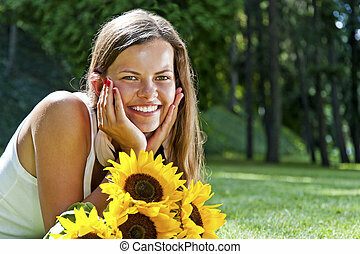 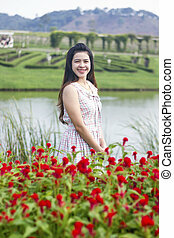 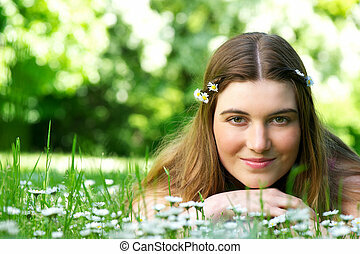 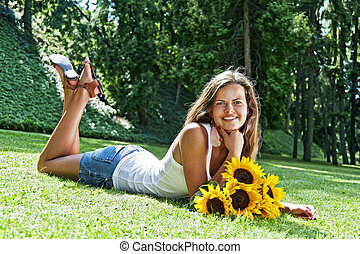 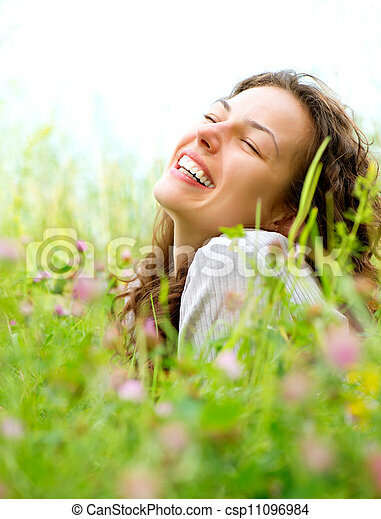 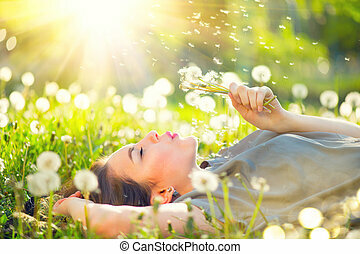 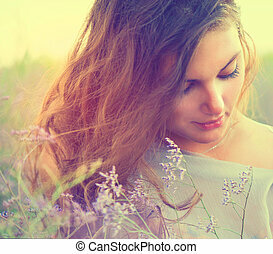 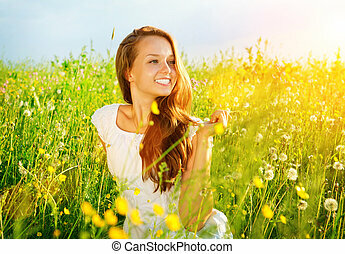 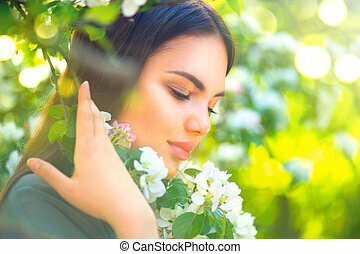 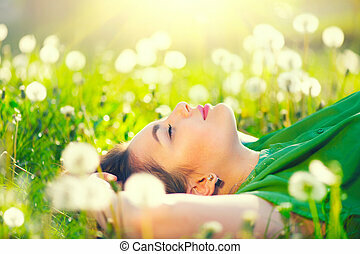 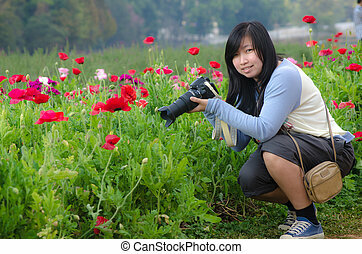 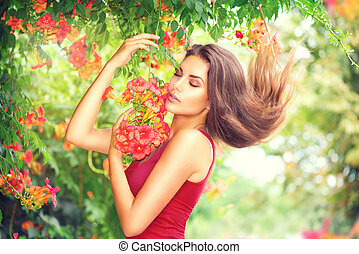 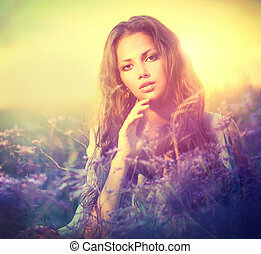 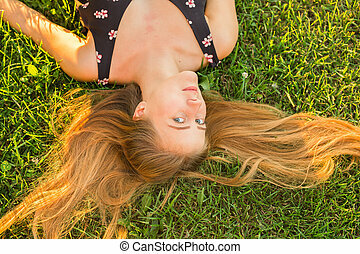 Beautiful young woman lying in meadow of flowers. 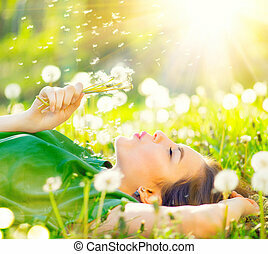 enjoy nature. 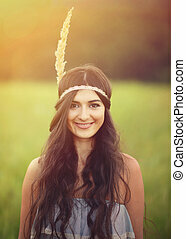 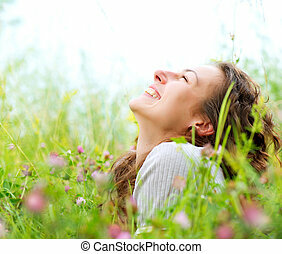 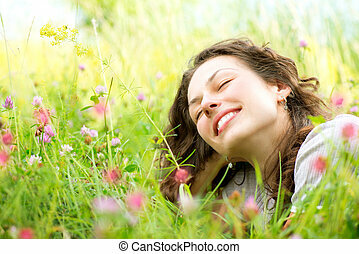 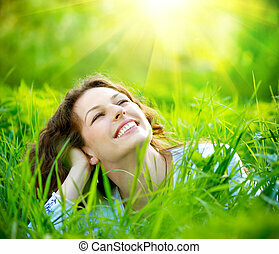 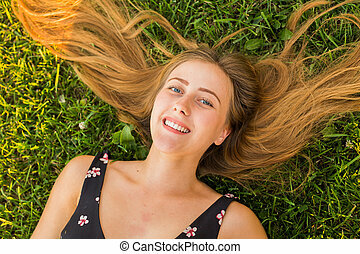 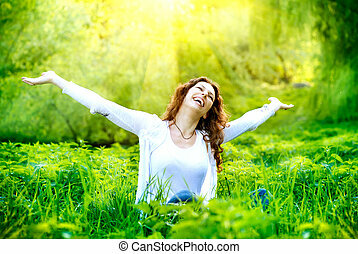 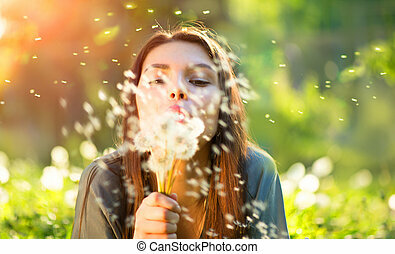 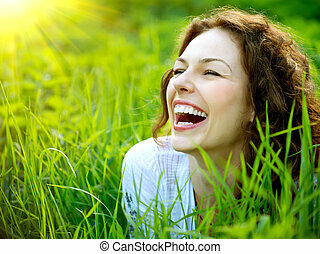 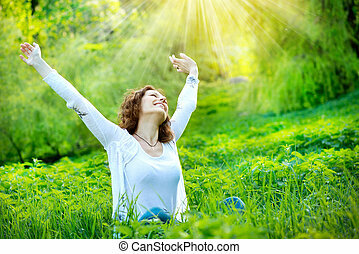 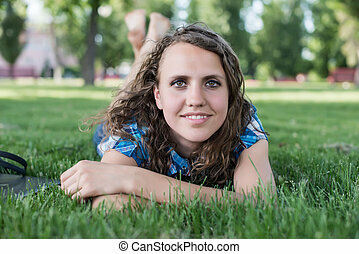 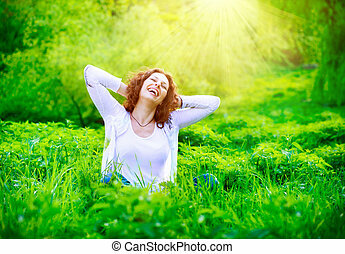 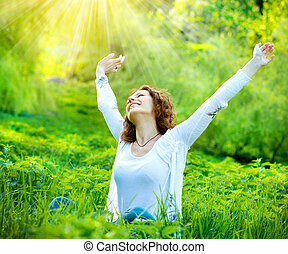 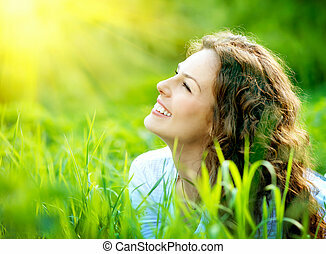 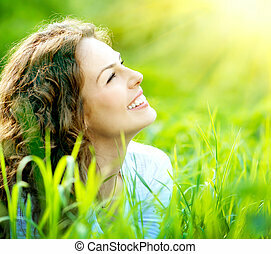 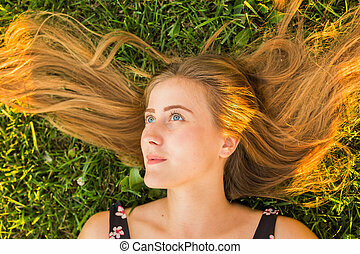 Beautiful Young Woman lying in Meadow. 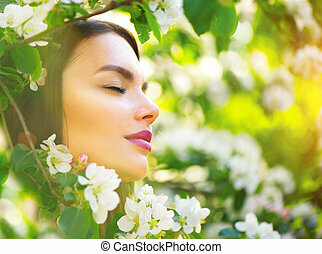 Enjoy Nature.